I recently purchased a yogurt starter from Cultures for Health. 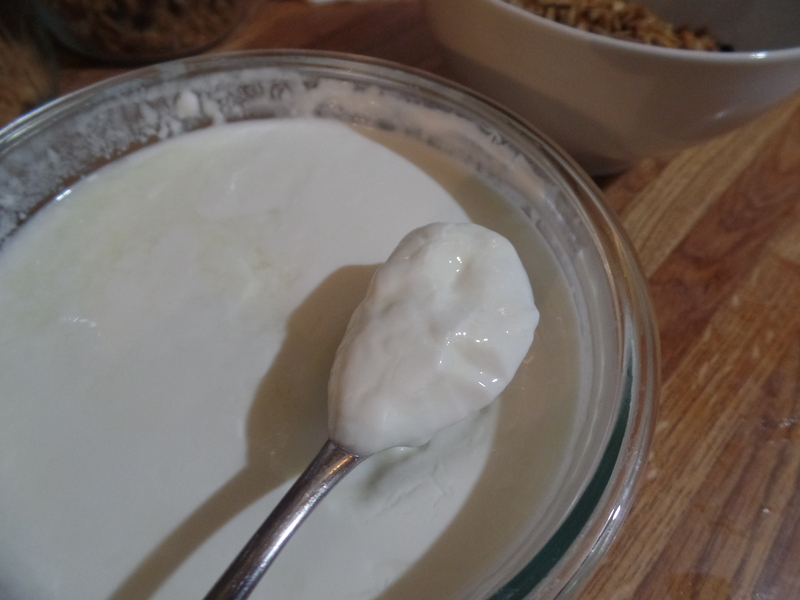 I needed something a little easier and more foolproof for making yogurt. Previously, I would make yogurt using a little plain yogurt from the grocery store and my dehydrator. I have a drum shaped dehydrator that I rigged with cardboard walls. I put a warm glass of water with a candy thermometer in it so I could adjust the temperature dial to keep the water at 115° F. Once that was set, I put in two quart jars of pasteurized goat’s milk that had been cooled to 115° F and inoculated with my grocery store starter. Then I would incubate that for 12 hours or so. Using plain yogurt from the grocery store doesn’t always work. Some brands of yogurt yield a better product than others. Some of them don’t work at all. I know you need to always buy the kind that is plain and says it has active bacteria but that doesn’t guarantee success. After a couple of yogurt fails, I was ready to actually spend money to make my life easier. I had read about the Viili strain of yogurt from Finland and knew that was the one I wanted to try. It is incubated at a room temperature range that is found in the common household. I knew that would also allow me to easily always have yogurt on hand. My only concern was that I really like a tart yogurt. The description of Viili was that it was a mild yogurt. My purchase arrived last week on Friday. I was so excited that I found time to pasteurize some milk and get it cooled and inoculated before leaving for my son’s soccer game in the morning on Saturday. I was going to leave it out on the counter like I had planned but at the last minute I put it up in a cupboard I have above the sink that has a light in it. The light bulb is not a traditional one but rather one of those energy-efficient fluorescent ones. I thought it would provide a few extra degrees of heat because I let my house cool down to 65° F during the day. I checked the yogurt when we got home but there appeared to be nothing happening. I found the same result the next morning. I knew it could take up to 48 hours to activate the starter so I tried not to worry. I also made myself take a temperature reading. I couldn’t imagine that the temperature wouldn’t be between 70-77° F up in that cupboard but I needed to be sure. I was surprised to find that it was only 60° F! So, out it came and on to my counter it went. If it wasn’t going to work there then I wasn’t going to do it. I was thrilled to find a very happy and thick yogurt in the glass the next morning. I tasted it and was very happy with the flavor. It was plenty tart enough for me. I immediately started another batch. This one, was left out on the counter the whole time. Once again, the next morning, thick and lovely yogurt was waiting for me. YESSSSSSSSSSS! 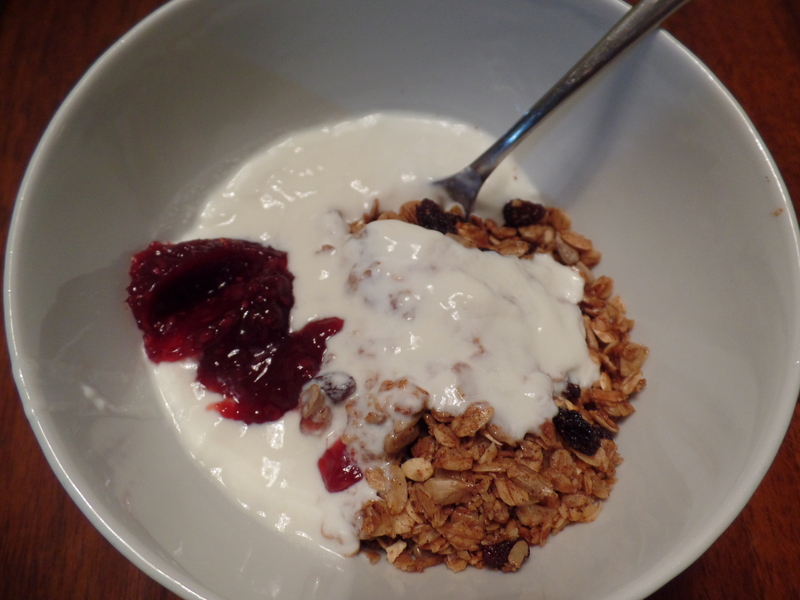 So, my breakfast was granola, yogurt and a little raspberry jam. Mmmmmmmmmmm. 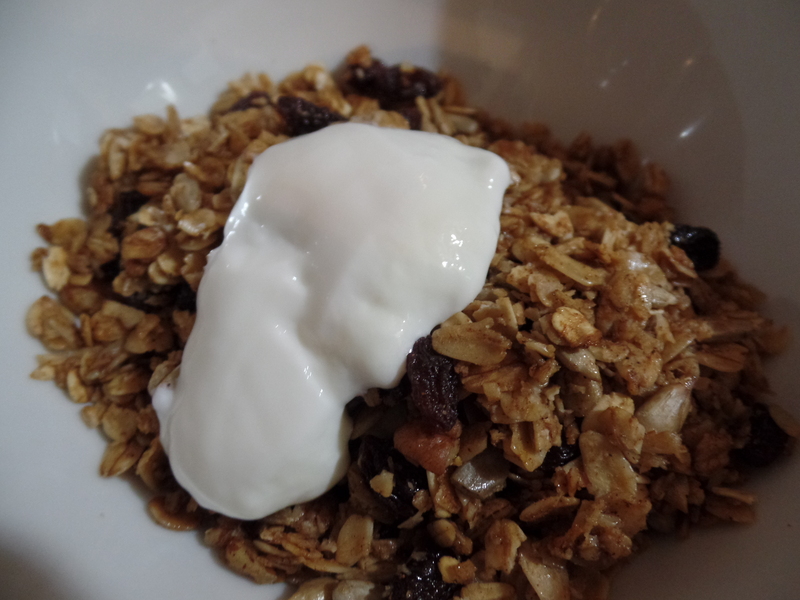 This entry was posted in Food and tagged Finnish yogurt, Goats milk yogurt, room temperature yogurt, Viili. Bookmark the permalink.